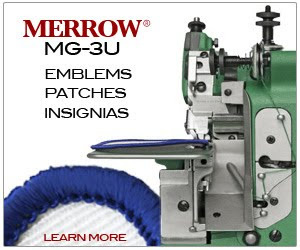 Stitch Sample Beta Program - Merrow Sewing Machine Co.
A Beta Program for Merrow Agents. Starting May 1st 2010 we're sending out stitch samples each week to our agents. 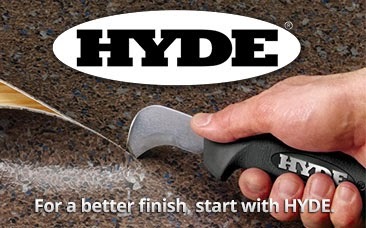 We are choosing samples that come from the current weeks production of machines in Fall River,MA. Each sample comes from an active production run of Merrow Machines. We are doing this to help Merrow agents become aware of the Machines currently being produced, the myriad of problems that Merrow solves on a day-to-day basis, and to encourage our agents to introduce the samples to their customers. We will also be posting all new samples on the blog. If this service is helpful, please let us know. It is a Beta Program and will be modified to offer the most value to the market. 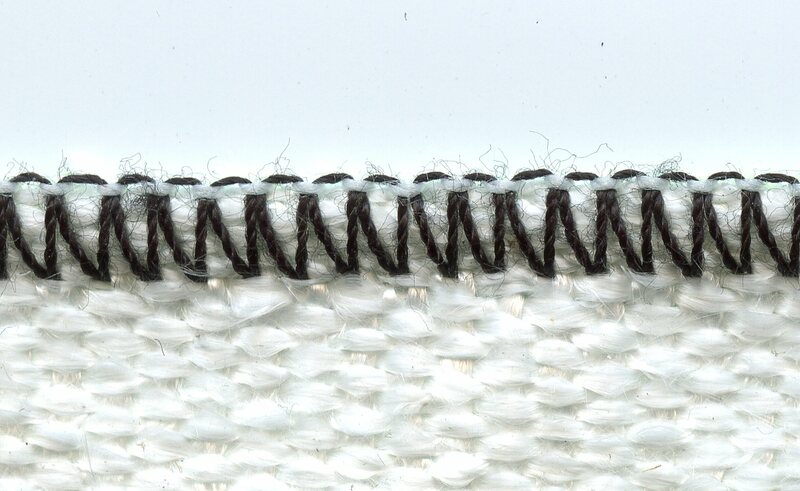 SUMMARY: The customer required that Merrow add a finished overlock edge to the fiberglass material. 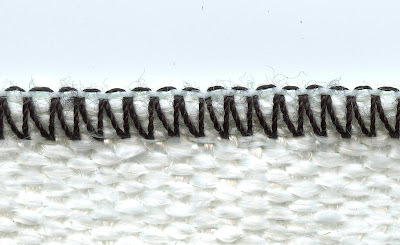 The stitch is designed to contain the loose fiberglass material, and prevent the raw edge of the material from fraying. The development of the stitch through a complete production run of machines took 3 weeks. The stitch width is 4MM wide and is rolled. The Machine runs at 5500 rpm. This Machine is prepared with a vacuum waste remover and a puller on a modified MG Table from Merrow. The machine is available for immediate delivery.